At the beginning of the month I showed how to assemble RabbitMax Flex, a Raspberry Pi HAT compliant add-on board for Raspberry Pi boards with 40-pin header, that targets IoT and home automation project with its relay, IR transmitter and receiver, I2C headers for sensors, buzzer, RGB LED, and more. Since I’ve already described the hardware, I’ve spend some time this week-end following the user’s guide to play around with the board using a Raspberry Pi 2 board, and try various features. and go to Advanced->A7 I2C to enable I2C. We need to reboot the board again to make sure I2C drivers are automatically loaded at boot time. buzzer – Turns on the on-board buzzer (beep sample), and plays Star Wars music (starwars sample). pi@raspberrypi ~/rabbitmax-examples/flex/button/c $ make gcc -c -o button.o button.c -I. gcc -o button button.o -I. -lwiringPi pi@raspberrypi ~/rabbitmax-examples/flex/button/c $ sudo ./button Press the button and release it after at least a second. Button released! Button released! gcc -c -o button.o button.c -I. Press the button and release it after at least a second. pi@raspberrypi ~/rabbitmax-examples/flex/button/c $ cd ../python/ pi@raspberrypi ~/rabbitmax-examples/flex/button/python $ python ./button.py Press the button and release it after at least a second. Button released! Button released! 0x77 address is used by BMP180 sensor, while 0x4c address is for the grove module. gcc -c -o BMP180.o BMP180.c -I.
gcc -c -o rabbitmax-sensor-temperature.o rabbitmax-sensor-temperature.c -I. The reported temperature matches the actual temperature in my room. 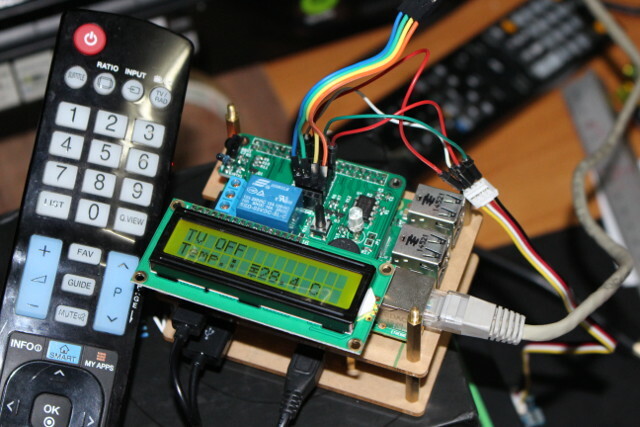 I initially planned to write a sample demo control my aircon using the button and the temperature sensor, so I also had to configure LIRC both to capture my aircon remote control codes, and send back the codes though the IR transmitter. Again this is very well explained in the user’s guide, and I started by installed LIRC. # /etc/lirc/hardware.conf # # Arguments which will be used when launching lircd LIRCD_ARGS="--uinput" ... # Run "lircd --driver=help" for a list of supported drivers. 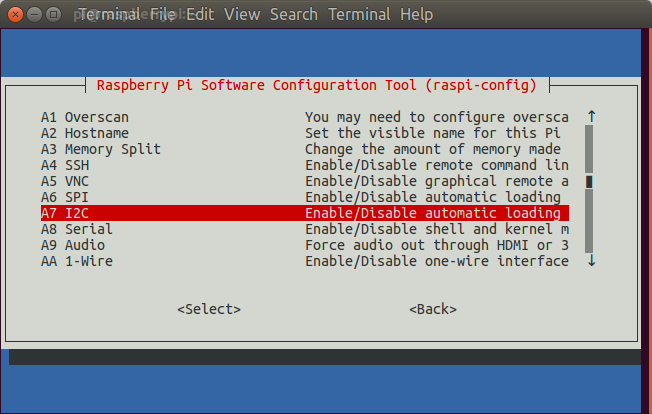 DRIVER="default" # usually /dev/lirc0 is the correct setting for systems using udev DEVICE="/dev/lirc0" MODULES="lirc_rpi"
sudo irsend LIST /home/pi/lircd.conf ""
That means that my test/demo project had now become rather silly, as instead of turning on my aircon when it gets hot, I’d turn on the TV 🙂 But I guess it’s good enough for a review, and as a learning experience. It works pretty well, as you can see from the video. You’ll also find the demo code on github. Beside Raspbian, Leon is also working on “RabbitMax IoT GNU/Linux Distribution” built with the Yocto Project where all hardware configuration is done, running an MQTT server, as well as an GHTML8 web interface designed with jQuery Mobile and Node.js API. 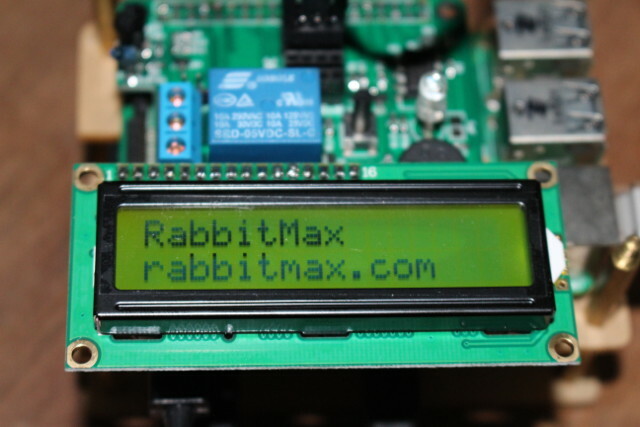 You can get the source code for that, as well as the documentation, C & Python sample projects, tools, and later on KiCAD files on RabbitMax github’s account, as well as some extra info on RabbitMax.com website. You can purchase the board now for $49.90 on Tindie.com without the LCD nor sensors, but it might be a good idea to wait for the crowdfunding campaign that should start shortly, with the board offered for half the Tindie price, and probably some kits with LCD, and sensors.